Cardamom is the world’s third most expensive spice and comes in two varieties. There is green cardamom which is also called true cardamom. When bleached it is called white cardamom. It has a powerful aroma. Black cardamom (also called brown, long or Nepal cardamom), is smoky and has a touch of mint to its aroma. They are available throughout the year in the market and grow in a tropical climate with ample moisture, heat and humidity. Cardamom is used in a variety of dishes but has medicinal properties too. 100 grams of cardamom can give you 175% of required iron for the body to function optimally by producing haemoglobin and facilitating cellular metabolism. It contains potassium, manganese, calcium and other minerals as well as vitamins such as riboflavin, niacin and vitamin C.
Cardamom has essential oils that are antispasmodic, anaesthetic and antiseptic. Its antispasmodic quality can help get rid of hiccups, muscle and stomach cramps. Antioxidants in the spice aid in battling free radicals and slowing down cellular aging. Though not scientifically proven, cardamom tea is touted by ayurveda to have an easing effect on people suffering from depression. Chewing cardamom can give relief from halitosis and mouth ulcers. People suffering from colds and other serious respiratory problems like bronchitis and asthma can benefit from ingesting cardamom because it increases the blood supply to the lungs. Its antibacterial properties make it a good remedy for skin allergies and infections. It acts as a diuretic, helps detoxify the body and monitors blood pressure. 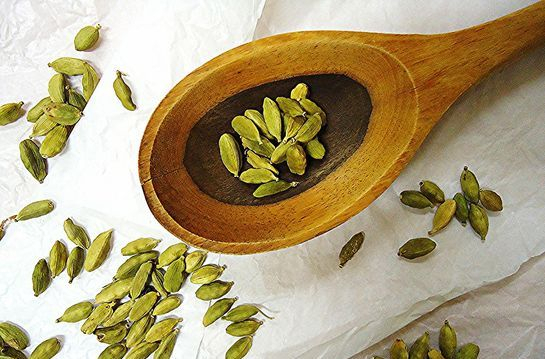 Cardamom eases indigestion, flatulence, acidity, and whets the appetite. Ingredients: 10 pieces of kokum, ¼ tsp of asafoetida, 1 tsp chopped green coriander, salt and sugar to taste and half a green chilli. Preparation: Keep the kokum pieces immersed in water for half an hour. Add salt and sugar according to your taste, and mix in half a chilli and coriander. Preparation: Boil the potatoes and cut them into fine pieces. Heat the oil in a non-stick deep frying pan. 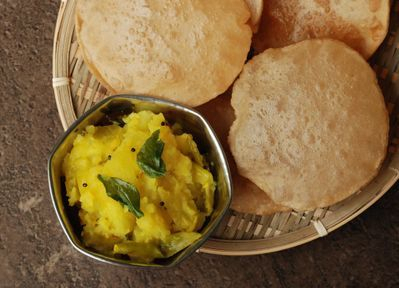 Add mustard seeds, turmeric powder, curry leaves, crushed ginger and chopped potatoes. Add sugar and salt according to taste. After adding a little water, cook it for 5-10 minutes. Cinnamon Oil: Cinnamon oil is widely used as a massage oil. It is very effective in dealing with problems like arthritis, spondylitis or any other muscle pain. Mix three drops of concentrated cinnamon oil in 25ml of any oil, such as coconut oil, almond oil, linseed oil or olive oil and stir well. Rub this mixture on the body in downward motions and put slight pressure on all the joints. Do this for 25 to 30 minutes. This massage carried out 10 to 15 times can bring great relief.